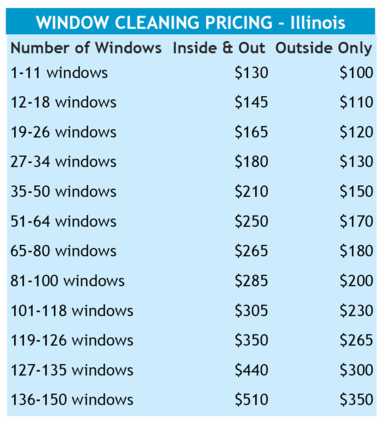 Seasonal Home Care is “clearly” your best choice for Window Cleaning Services in the Chicago Metro area. The entire window cleaning staff is well-trained, and ready to service your home! They will perform their task in a professional manner; dedicated to thoroughness and your satisfaction. Seasonal Home Care offers residential Seasonal Window Cleaning, Pre-Real Estate Sale, Move In – Move Out, and Post Construction/Remodeling. Our commercial window cleaning teams are professional, dependable, and experienced. A Seasonal Home Care representative will visit your facility and will provide you with an accurate quote…No hidden charges or add-on fees! Guaranteed! Seasonal Home care offers commercial Seasonal Window Cleaning, Scheduled Regular Maintenance, Post Construction, and Post Construction/Remodeling.